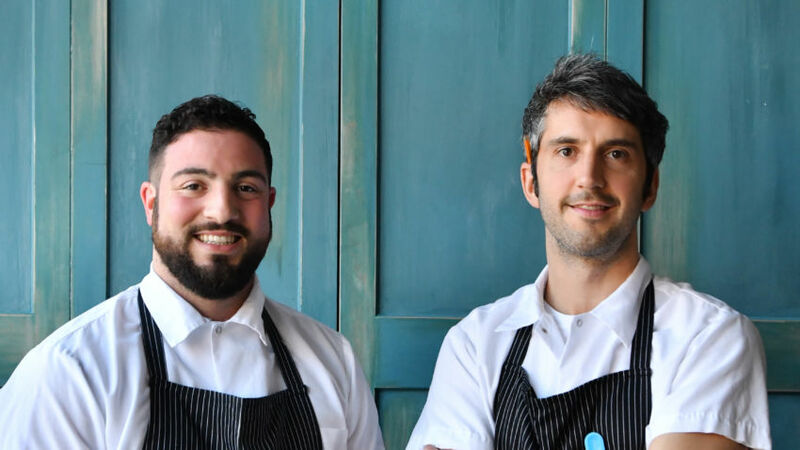 The chefs behind Boston's acclaimed Venetian restaurant SRV share their favorite spots in the floating city. Since meeting eight years ago in Umbria, Italy, as the only two American chefs in at Lorenzo Polegri's Zeppelin, Kevin O’Donnell and Michael Lombardi's culinary partnership has endured to this day. After working together at Del Posto, and L'Office, the chefs decided to set down roots in Boston and, inspired by their love of Venice and its cuisine, opened the city's first ever Venetian-style bacaro, SRV, in 2016. Here, they share their favorite places to eat, drink, and stay in the city. We've been to Venice as tourists a few times, but prior to opening SRV we truly immersed ourselves, and spent time blending in with the locals. 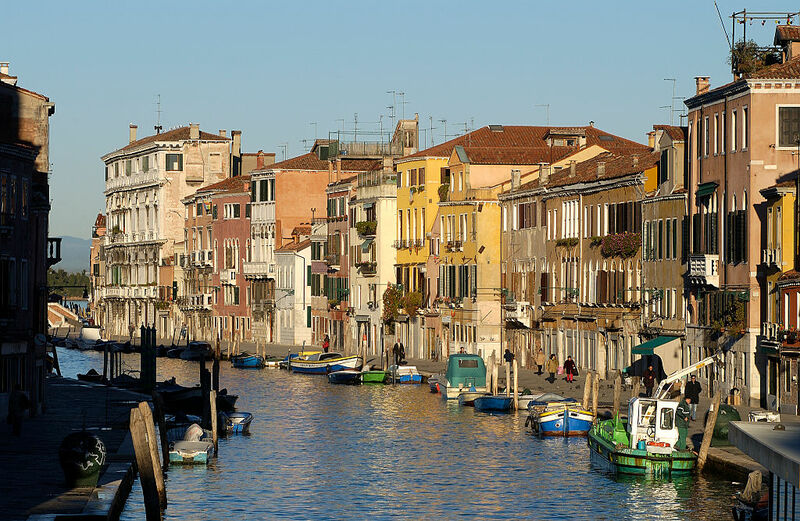 The wine bars of Venice that inspired SRV, called bacari, are a unique cultural phenomenon where people start to eat and drink first thing in the morning. 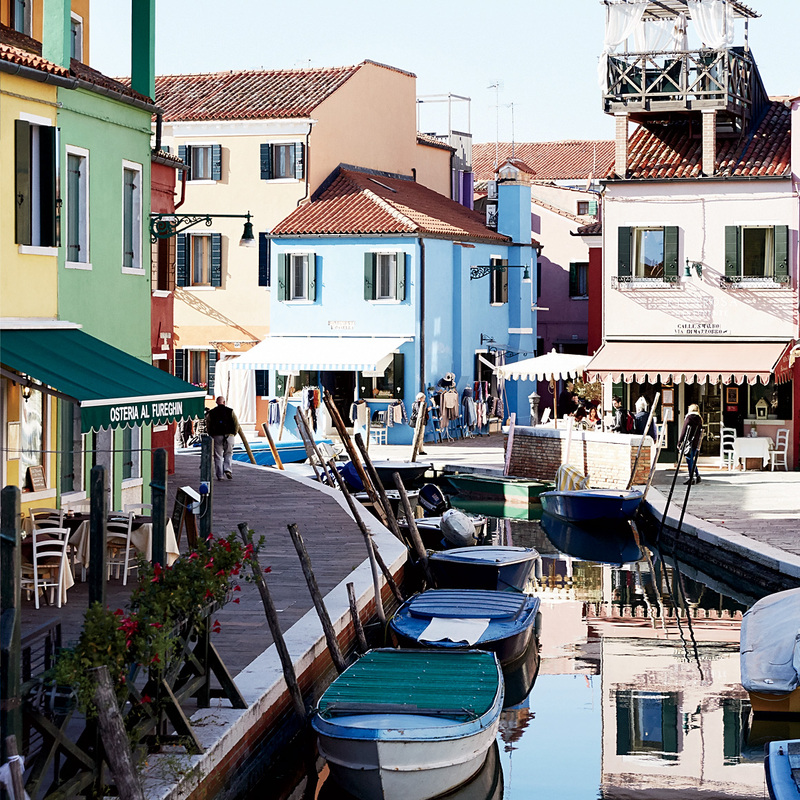 And while getting lost in the back canals of Venice can be a fun way to experience the city, here's our list of stops worth planning to make. Enjoy some of the best bites in all of Venice and a chilled glass of Soave while standing on the streets at this .small corner spot, which isn't big enough to keep everyone inside. The Beef Splene, Baccala with Herbs, sliced meats off the hand crank slicer, cheeses, and Sarde in Saor are all on point. The party does stop for a mid-day break, so make sure you time it right. This one falls into the super traditional category. The room is dimly lit, and if you wander in at 10 am you’ll find yourself hanging with old Italian men, glasses of wine in hand. There are a handful of other good bacari in the area (All’arco is around the corner), which makes this spot a worthwhile stop on your giro d’ombra (Italian-style bar crawl). The must-haves include a Hard Boiled Egg with Anchovy and Capers, Marinated Cipollini Onion, Baby Octopus, and Musetto (a venetian style pork sausage) pulled straight from a steam cauldron. The food may looks simple, but it's beyond flavorful. This little gem is tucked into a side street. The plates are larger than some of the other bacari, and fewer things come individually portioned on toothpicks. Try the plate of Octopus Salad and the assortment of Marinated Vegetables. If you're looking for a slower paced sit-down meal, there is seating in the back. This bacaro has plenty of seating, which might be more comfortable if you are looking to spend hours eating and drinking. If you want to stand you can enjoy a variety of cicchetti (Italian small plates). The room is filled with wine, and in the center of it is someone both slicing meat and taking orders. If you're looking for an al fresco lunch or dinner, there are tables on the sidewalk, and great shopping around down the street, making La Cantina great for a post-shopping meal. Try the lamb chops and assortment of roasted and grilled fish--the fresh platters are great for feeding an entire hungry group. These are two different bacari right next door to each other. Both have a less than traditional vibe, which is a nice change of pace. El Refolo is a reference to the Venetian winds, each one having a name to the locals. The inside of this bacaro is tiny, but the windows open up so you can walk in and out freely. Try the freshly sliced cured meats: a Truffle Salame will blow you away with its elegance and warm truffle flavor. The drinks are delicious and the vibe is slightly more contemporary than the more historic bacari in town. Strani is the bacaro next door and has way more space inside. They have all the classics and a few modern ideas too. The vibe is again less old school, and bit more rock n’ roll. The Fried Baccala is worth the trip alone, and they have a great selection of Tramezzini (Venetian tea sandwiches). It’s a pastry shop, so pretty much everything is delicious. Venice has a fair amount of fried desserts, which makes them even harder to resist. 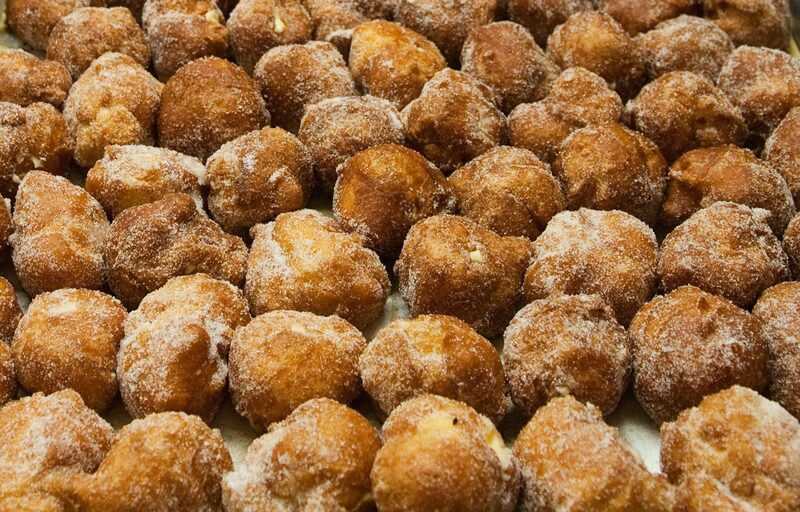 A Frittelle with Raisins is the most traditional, but also make time to discover all the different ways Venetian chefs have found to fry dough and dust it with sugar. This is an active coffee roaster, and the morning aroma makes it hard to pass without stopping for a quick espresso. The coffee is fresh and the place is packed with locals lining up for great espresso and cappuccino. The line can be long, but it moves quickly. This neighborhood/quarter of the city is off the beaten path enough to be quiet, yet still in walking distance of all the major spots. The Venezia Santa Lucia train station is on the edge of Cannaregio, making for an easy way to get in and out of the city, but it's equally easy to navigate the hidden back alleys and walk all the way to Piazza San Marco or the Arsenale on the far side of the city. And if you want to avoid tourists altogether, you the local coffee shops, boutiques, and bakeries in this part of the city are the perfect place to be.